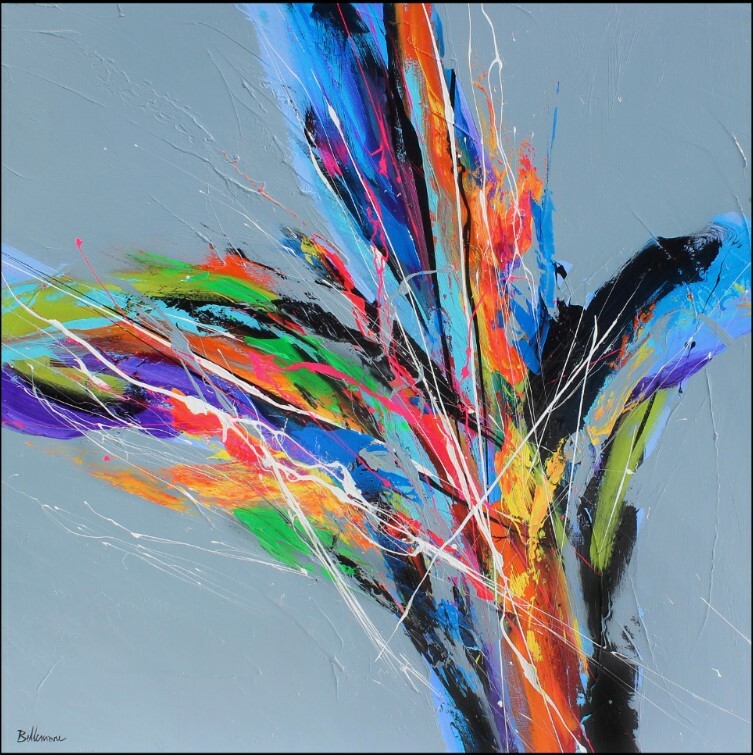 Pierre Bellemare’s fundamental inspiration is characterized by energy, rhythm and action, in relation to different cultural and musicians’ mosaics. 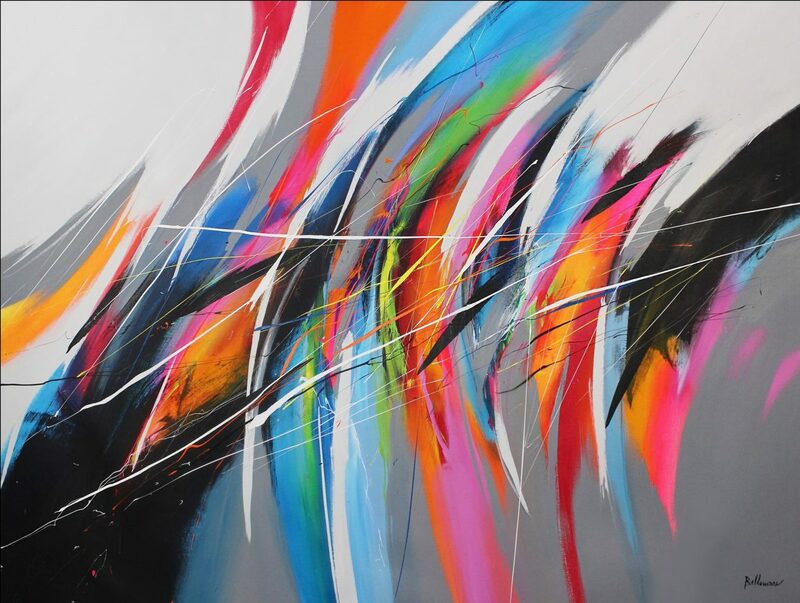 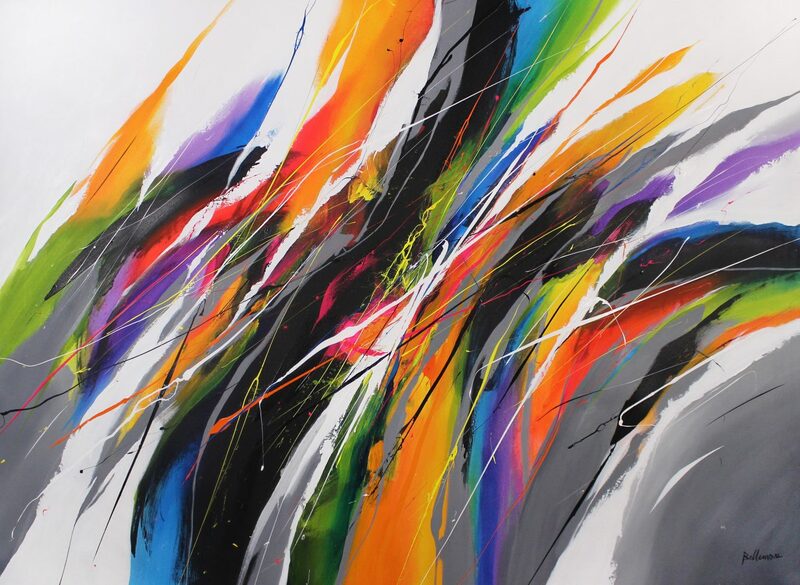 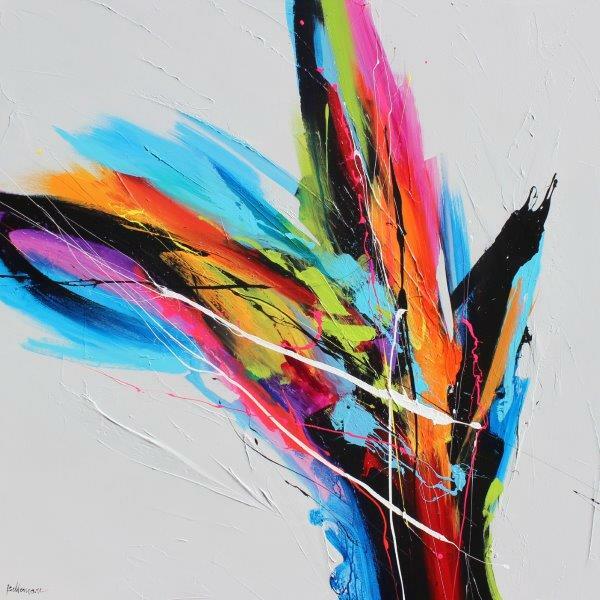 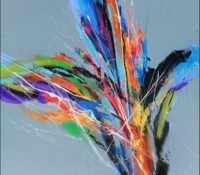 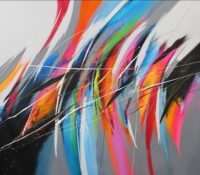 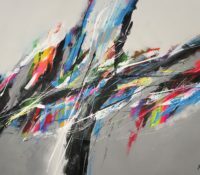 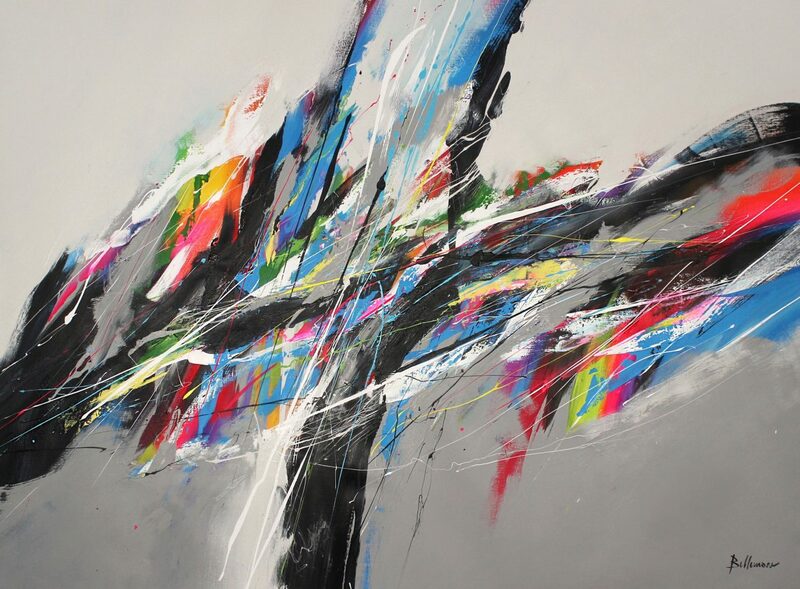 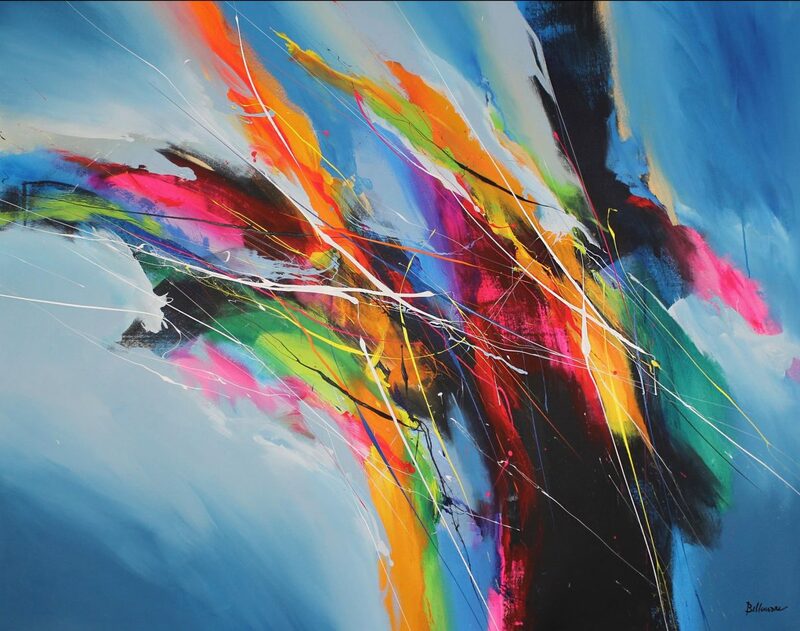 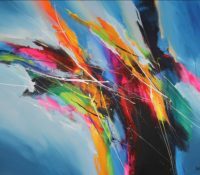 Through the use of color, light, texture and elements of calligraphy, musical creations unfold on canvas. 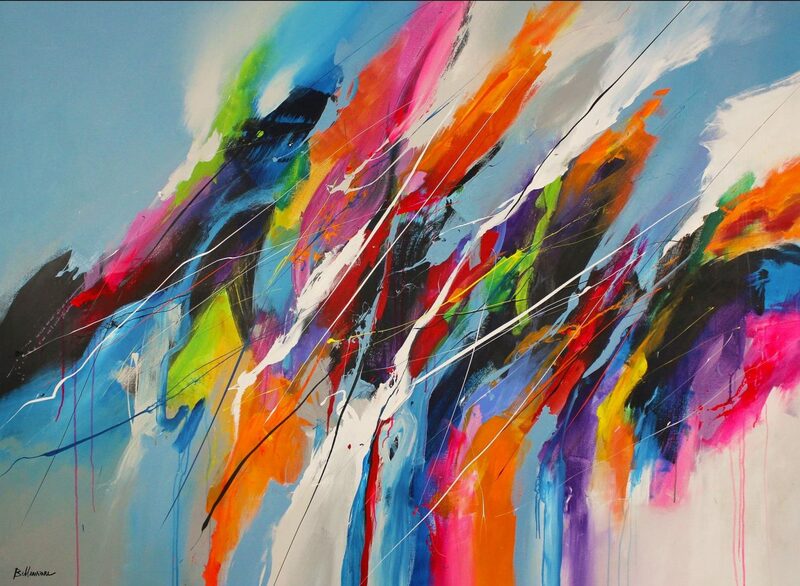 FOR THE ARTIST, COLOR HOLDS A VIBRATION AKIN TO MUSIC. 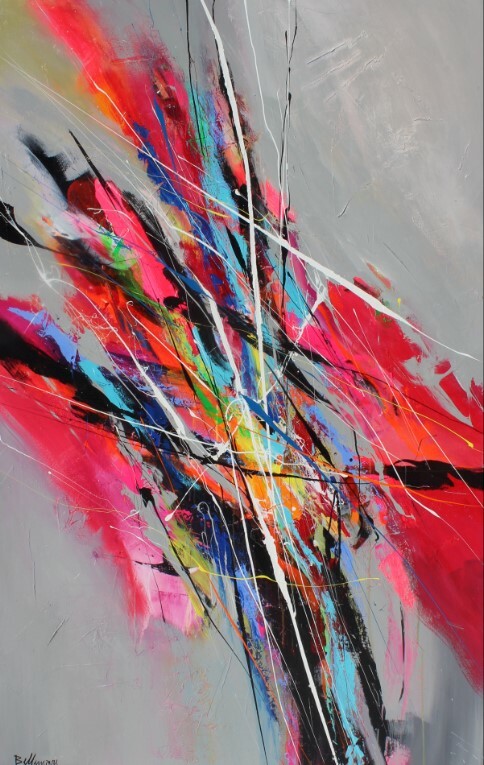 This vibration invites us to see a world expressed through the power of abstraction, rather than pictures or words. 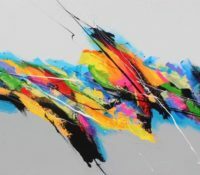 This freedom of gesture, in full awareness of the present moment, relies on a foundation that springs from an amalgam of knowledge and artistic spontaneity. 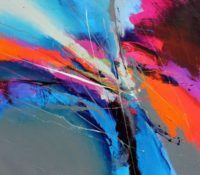 For the creator, design, balance and structure are essential to deeply and powerfully express a painting in all its uniqueness. 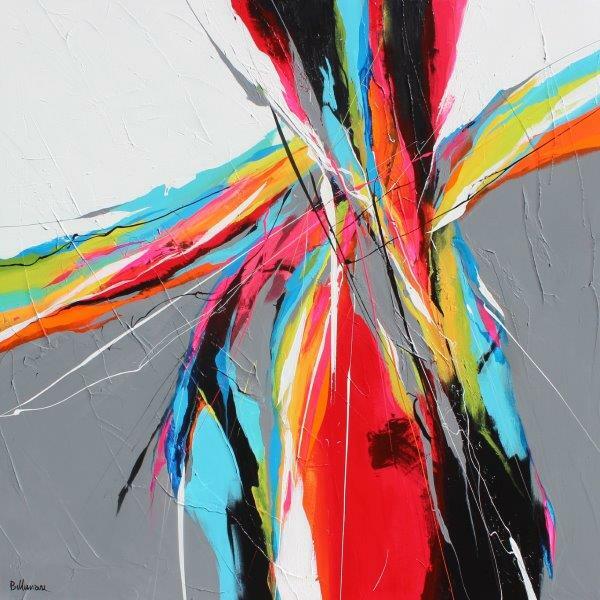 Pierre Bellemare holds a background in art and a bachelor’s degree in graphic communications. 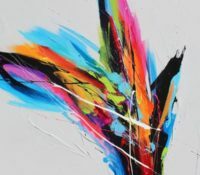 As a computer graphics designer, he founded the agency Bellemare Graphic Design. 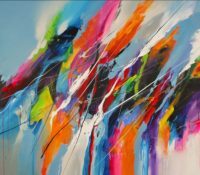 He has realized several national and international assignments, some of which were published in over 65 countries. 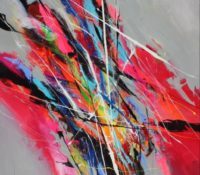 As a painter, he has exhibited his work in various galleries in Canada and the United States. 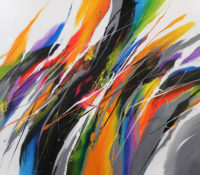 He also participated in group exhibitions in both Canada and Europe. 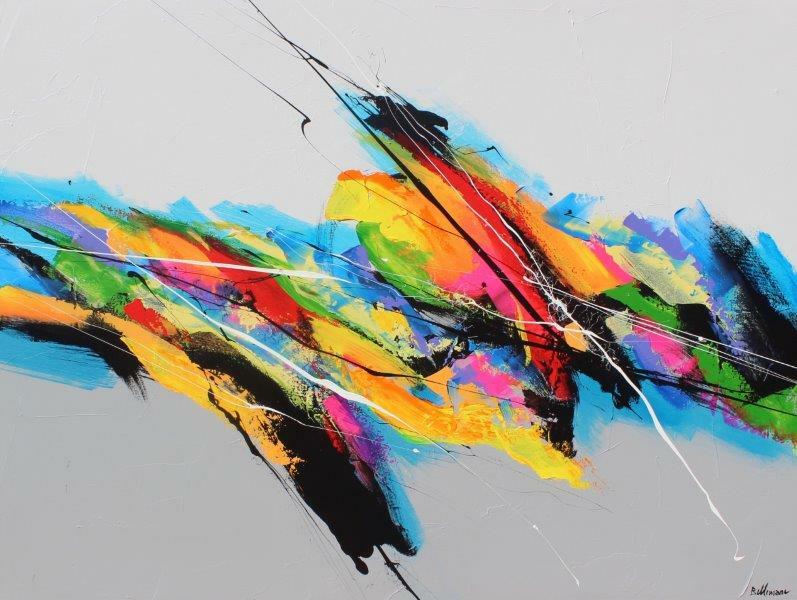 Since he started devoting himself fully to his art, travel and music have become Pierre Bellemare’s greatest sources of inspiration. 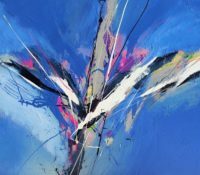 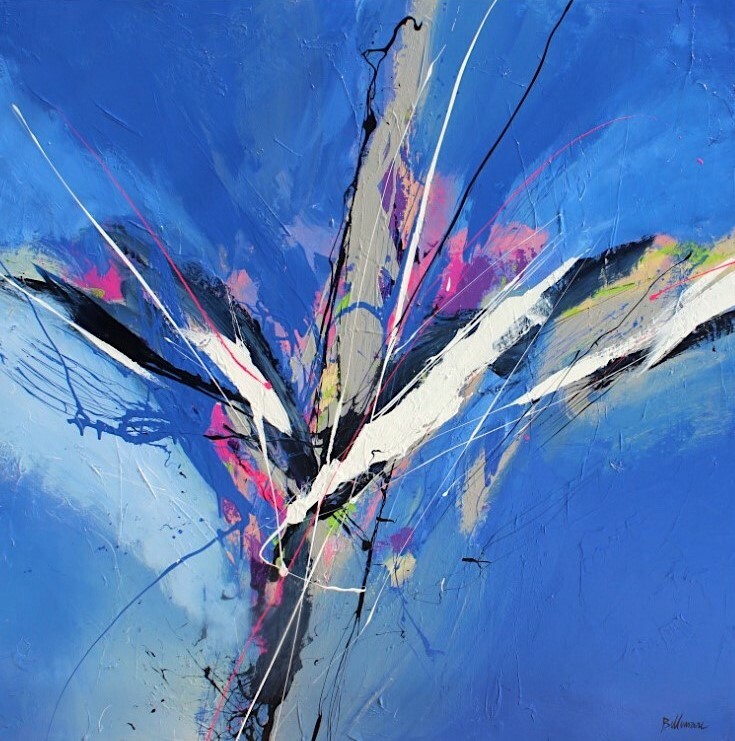 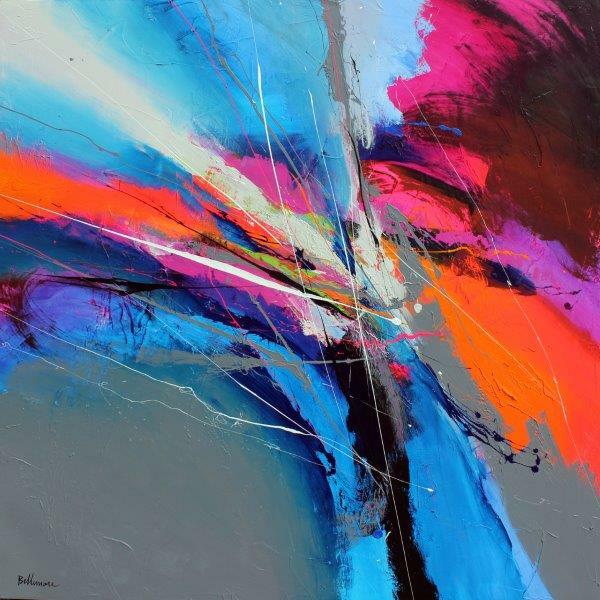 The cultures of different countries he visited in Europe, Asia and the Middle East, have inspired vibrant colors that he uses with great pleasure as integral elements of his paintings. 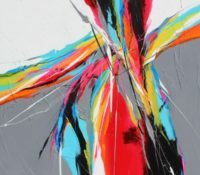 His paintings have found a home in private and corporate collections in North America, Europe, Asia and Oceania.